The Students’ Union is really modern and appealing and has a lot to offer students. The library is great as it is full of electronic resources that help massively in research. “Before coming to Nottingham Law School I knew it to be an award-winning Law School with quality teaching and also a great Legal Advice Centre. I chose to study Intellectual Property Law because I have a keen interest in this area of law and hope to practice in this area when I qualify. I had also taken a module in Intellectual Property Law in the final year of my undergraduate degree, which aided my final decision. “I considered it important to have accreditation when choosing a course for postgraduate study. Staying in Nottingham was a plus for me. The key facilities that attracted me to the university were the 24 hour access library, the location of the campus and the array of resources available to aid in my studies. The Students’ Union is really modern and appealing and has a lot to offer students. The library is great as it is full of paper and electronic resources that help me massively when doing research. “I use NOW every day. It is useful for accessing my learning materials and other useful information about Nottingham Law School, as well as checking up on any employability opportunities that might be posted to the news board. 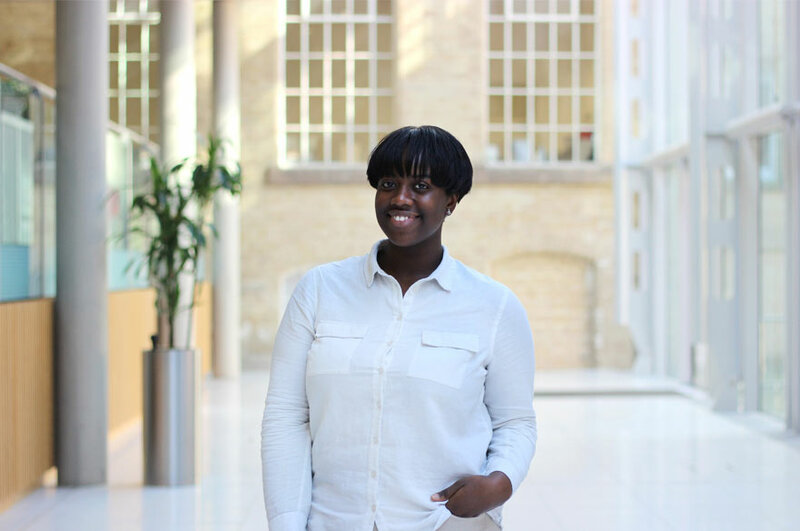 “My greatest achievement as a Nottingham Law School postgraduate student so far has been gaining more independence than I had as an undergraduate. My career plans have not changed as a result of my postgraduate study, if anything they have been clarified. My plans for the immediate future are to complete law school and qualify as a solicitor. In the long term I hope to take my expertise with me to Ghana and open my own law firm.